When someone mentions raisins to me I always cast my mind back to the 80s and the California Raisin adverts with the singing raisin characters. I’ve never associated raisins with beer. There’s a good reason for that, as raisin beer just doesn’t sound like a good idea to me. After all, raisins are dried grapes and I don’t fancy trying beer wine. Having said that, if Cinabar found some beer wine I’m sure she’d enjoy torturing me with it. She certainly has found the next worst thing. This beer, brewed by Cains, is made from Californian Raisins. On the label it recommends trying it with “cheeses, red meat or game – or on its own.” On opening the bottle I noticed the strong smell of raisins. The beverage tastes of a fine raisin wine mixed with a light beer. You get a strong taste of raisins to start with, then the light beer taste and back to raisins for an aftertaste. The more I drank of this raisin beer the stronger the raisin taste became until towards the end of the beer it was almost overpowering. The beer flavour disappears and is replaced by raisins, then raisins and more raisins. I’m sure they liquidised a whole raisin singing group to fill each bottle. In retrospect I think this beer would have tasted great with a strong cheese and some crackers, or a medium steak or roast beef, or a nice pheasant, but I made the mistake of trying the later suggestion on the label and drank it on its own. This is a beer to be savoured and enjoyed with a good meaty meal or a cheese platter for pudding rather than on its own, and I can’t see youths drinking it from the bottle at parties raisin’ hell (sorry… had to get that one in)! A new Frijj milkshake flavour always makes me smile. When I saw the Oreo style cookies drawn on the bottle of this one, I was all excited for a rich dark biscuit and cream flavour. But this is not a dark flavour at all, but a sweet creamy taste, in fact the main flavour is that of wonderful rich cream. I have no idea how the bottle gets labelled with only being 2% fat, it tastes so wonderfully rich, I just naturally assumed it would have a higher fat content than that. It is however a pleasant surprise that it doesn’t. Well I have told you about the cream section of the Cookie & Cream flavour, but I don’t have much to report on the biscuit part. There is indeed another flavour mixed in, but it is more like a mild shortbread flavour with a hint of a caramel taste too. There is no strong cookie flavour present. That aside, I really enjoyed the drink, but I drank the bottle over the course of the day, trying to have it in small amounts to not become overwhelmed by the wonderful rich creamy flavour. I have been quoted in the past as saying “if it can have chocolate, it really should have chocolate”. I use this expression when choosing items to purchase, for example ‘what type of breakfast cereal to buy’, it works for a lot of things! Still there were items that even I felt didn’t need chocolate adding to them, up to now this included Wensleydale cheese. Up in Yorkshire it is quite common to eat Christmas cake with a slice of Wensleydale cheese, but I’ve never been convinced of the concept, and always felt that cheese was a savoury item. Admittedly the delicatessen counter regularly has Wensleydale with fruit, such as apricot or cranberry, but chocolate is a new one - even on me! I tentatively opened the packet, and found the cheese had a very delicate mild smell, which was just vaguely sweet. I chopped a small piece off to try. Thankfully the cheese wasn’t overly sweet and the creamy crisp flavour of the Wensleydale mixed delicately with the rich cocoa taste. It would be difficult to categorise this cheese as being specifically savoury or sweet, as the answer lies somewhere in the middle. The chocolate doesn’t add a huge sugary taste, but this is well and truly a good thing. What you are left with is a cheese that is undeniably chocolately but still very palatable. The more I ate the more I enjoyed this cheese, and its complex flavour, even if at first it does seem to have an identity crisis. I would love to know other people’s views if they have tried this cheese? It is such an interesting taste, more cocoa than chocolate and not at all what I expected. It is so much more than just a novelty; it’s a very clever cheese! First launched in 1977, Pot Noodles have been a benchmark of student life ever since. I initially braved them in the 1980s and didn’t think much to the flavours. The last one I ate I think was Curry flavour and that was about twenty years ago. Geez… that makes me feel old! Doner Kebabs first came out in the UK in 1971, so it was only natural that this flavour would find itself in a Pot Noodle at some point. Okay, not really. Been as though I’ve never professed a liking for Pot Noodles to Cinabar, in fact, quite the opposite, it too was only natural that I’d be lumbered with trying this new flavour. To be honest I can think of other things I’d prefer to try that begin with “Pot” before revisiting this brand, such as “Pot Holing”, where the phrase “Every hole’s a goal” simply doesn’t apply. To be honest, after some recent and disastrous horror films involving deep holes in the ground, monsters and people being eaten alive, I may never go into a cave again! Potatoes are nice. There’s pot roast too. Hell I’d even prefer to eat Potpourri, rather than a Pot Noodle. But as I could see the fear in Cinabar’s eyes, I agreed to do the review. After a number of weeks of staring at the Pot Noodle I came across a point where I had no choice but to eat it. Cinabar was away on holiday with her mom and I’d been swimming after a long day at work. Apart from some eggs, a little cheese and some bread, the Pot Noodle was the only thing left to eat in the whole house (there wasn't even any Potpourri). I boiled some eggs and made a cheese sandwich with lashings of beer mustard. I followed the instructions on the plastic pot to a tee. Add boiling water, leave for two minutes, stir, add sachet, leave for two minutes and (for God’s sake) don’t reheat. I scratched around and managed to find a bag of Welsh Rarebit crisps and a Hot flavoured Pepperami. I sat down to “Battle of the River Plate”. I have to admit my unusual concoction of food all went rather well together, whilst I watched battleships pounding each other with shells. The hot spice in the pot noodle took me back a little, especially on noticing the finely chopped chillis mixed in with the curly noodles. The instructions on the pot recommend you eat it with a fork, which makes for a loud and particularly messy meal. I ate a few noodles, my mouth began to burn after a while, but I had to imagine the taste of lamb, because it seemed to be missing from the pot. I used the boiled eggs to cool my mouth, dipped my sandwich in the pot, the Hot flavoured Pepperami also complemented the pot noodle well. All in all I had a strange, yet very tasty meal indeed. If I’m devilishly hungry and desperate for a very quick meal in the future, I may look to the other flavours of Pot Noodle and give them a try to see which one I like the best, but the Doner Kebab flavour has a thumbs up from me! When I have Weetabix I have to confess to sprinkling a little sugar on the top, or sometimes also chopping up a banana to add some extra sweetness. 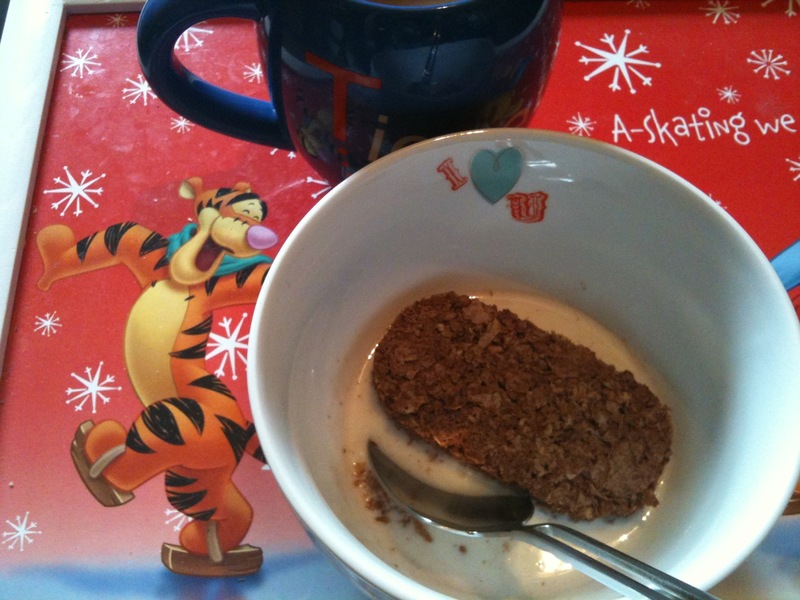 So I was rather delighted to find a pre-sweetened chocolate Weetabix for sale on the shelves of the supermarket. I say pre-sweetened, but I should point out that the box claims that it still has “half the sugar of the average chocolate flavoured breakfast cereal”. This to me is a good thing, I don’t want an overly sweet breakfast cereal, just something that doesn’t taste plain. The picture on the box shows a brown coloured Weetabix, speckled with numerous chocolate drops, sadly my own Weetabix seemed to have less. The flavour was unmistakably cocoa based though, despite it being a more mature dark taste, and not that sweet overall. Having said that, I did not feel the need to add any extra sugar/fruit at all. I liked the cocoa overtones, and the extra sweetness that appears when you find a chocolate drop. The flavours were well balanced and the cereal is thoroughly enjoyable. It is a long way off being as sweet as other chocolate cereals, so I wonder what the regular purchasers of Cocoa Pops etc will make of it. I think one of my guilty pleasures is white chocolate, but to be honest I can’t remember the last time I actually purchased a Milkybar. It’s not that I don’t like Milkybar, it’s just that it is rarely my first choice, as it seems like a child’s chocolate. I was quite excited to find this new Milkybar Raisin and Biscuit edition, as I felt that it seemed more geared towards the adult market, and made it a more comfortable purchase. Having said that, the ‘Ingredients’ list on the back surprised me, as it was set out with descriptions of each item, and not actually labelled as ‘Ingredients’ at all, it was called the ‘Recipe’. This just seemed a bit condescending for the adult market I thought it might be trying to capture, so I am a little confused as to where they are aiming this bar. The chocolate is fab though, there is a wonderful amount of raisins and biscuit pieces within the chocolate, giving a good mix of textures. The raisins add lovely sweet fruity tones, and notably the biscuit is really rich and flavoursome too. Both the ingredients go well with the white chocolate and create a lovely mix of flavours, but I should warn you it is one for the sweet toothed! The underlying chocolate is wonderfully creamy and rich, making this bar easy eating. This is the bar white chocolate fans have been waiting for, buy it with pride! I got these as a pair for my birthday from someone who knows that I like unusual foods, but I've found them since in Waitrose. I've had them before but I'm not sure where - either up north at University, or down in London in a posh cafe. 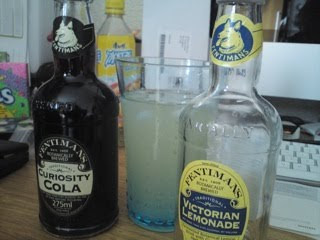 They are both pretty good drinks and worth looking at in turn. The lemonade was up first, chilled briefly in the freezer. The taste was stronger than I'd remembered and a lot more powerful than the 'home made lemonade' that you sometimes see in cafes. It's pretty sharp and really refreshing and fruity enough that you feel like it's contributing towards your 5-a-day. The cola was the one I was looking forwards to most. Having avoided colas a child (we never really had them at home and I liked Tango & Fanta more when out) I'm loving discovering all the different varieties of this drink. The organic and speciality colas feel far more like the elixir that the drink was originally conceived as way back before Coke & Pepsi made it mass market. While this does have a proper cola bottle sweet taste to it there is a smoothness that means you could drink it in larger quantities. It also tastes brewed and is the perfect soft drink for pubs and cafes that want to sell soft drinks to grown-ups. Last week Spectre wrote about Maynard’s Fruit Duos, where every sweet has two flavours. This must be a summer thing, because within this box of Lemonheads each sweet also has two fruit tastes mixed together. I have written about regular Lemonheads last year, but this is the first time I’ve seen Tropical double flavoured ones. This one had a very strong strawberry taste. Sadly the kiwi was barely noticeable to me, but overall it still a nice strawberry flavour. This had lots of peach flavour, with a decent hit of mango at the end. I felt that it had a proper tropical taste, and was a really nice sweet flavour. Really loved this one. The blue sweet had a clever flavour, firstly there is a really tart blueberry blast, and then a lovely smooth soft banana flavour that follows and sort of balances the taste out. There was a lovely sharp cherry coating on the red sweet, and when chewed watermelon shines through. Out of the two tastes the cherry is the most dominant flavour, but the milder watermelon has a distinct taste at the end. A nice refreshing sweet. Is this really two fruit flavours in one sweet? I mean, sure lemonade is refreshing but it’s not a ‘tropical fruit’ as such! Also Lemonade and Pink Lemonade as two separate tropical fruit flavours is a bit of a stretch! Having said that the sweet itself has a lovely lemony taste, which has both a hint of sweet and a hint of sour, and it did make a really nice sweet. Generally speaking there were a good mix of flavours in the box, and they made a nice treat. I do like the mix of fruits, and like how you genuinely get one fruit flavour followed by the other and not some unidentifiable fruit medley. The only disappointment was that they weren’t quite as zingy as regular Lemonheads. Crisps are usually a savoury thing. There seems to be a healthy theme running through the snacking world at the minute, and more and more baked snacks are appearing on the shelves. These aren’t the first pitta chips I’ve tried, but they are the first sweet non-savoury ones! The flavour within the bag wasn’t evenly distributed; some of the chips had a tiny hint of coating and others offered and wonderfully strong flavour. The taste is that of brown sugar and cinnamon and went really well with the chip. Think of them as a sort of popcorn alternative, as I shared and munched these watching a film. The good thing about them is that they are baked, not fried, and so have 60% less fat. I found that they were also tasty and quite filling, which meant I had less of these than I would have, compared to crisps for example. These are a really decent snack - I just have to get it out of my head, that they are not a breakfast cereal, and they don’t need milk adding! Cinabar picked up these two bars for me from CyberCandy. Now I have a slight obsession for Caramel chocolate as regular readers may recall after the Kit Kat Caramel controversy and the Milkway Caramel session. I have a love of all Caramel flavoured bars from Cadbury’s, with Cadbury’s Caramel Bar top of my league with its sweet caramel taste and milk chocolate heavenly flavour combined. The Wispa Gold is a close second, for the sweet runny caramel and soft texture that makes up the Wispa bar genius. Milkway Caramel is a close third with its generous filling of thick gooey caramel. I find Galaxy Caramel far too sweet and sickly to indulge in very often. I had previously complained that the only thing wrong with the Milkway Caramel was the name. The image on the Mars Caramel wrapper of the broken chocolate bar with caramel oozing out looked much the same as the Milkway Caramel wrapper. On ripping open the wrapper I noticed the bar was roughly the same shape as its Milkway Caramel counterpart. On biting into the bar, I had much the same sensation as eating the Milkway Caramel… mainly because this is the same chocolate bar, just in a different wrapper with a different name. Actually, the name “Mars Caramel” was the original name I wanted for this bar, as it’s ram packed full of the same caramel that’s in Mars Bars. Therefore, I can’t really complain, this is a superb caramel bar and it does what it says on the wrapper. All confusion forgiven when they named it Milkway Caramel… just don’t expect anything different if you buy one of each! Now Areo’s have always been a bit of a poor man’s Wispa to me, their never seem as light in texture or full in chocolate flavour as the Cadbury’s rival. Therefore I wasn’t expecting much of a fight from the Areo Caramel. On opening the wrapper I noticed the long slim bar was divided into bite-worthy chunks. Biting in I was surprised at how good this bar tasted. Roughly half and half helping, the bubbly Areo chocolate at the bottom of the bar works very well indeed with the gooey sweet caramel at the top. Nestle have really excelled themselves here, making a grand counter attack to the Wispa Gold. It certainly looks like I’ll have to reshuffle my list now and probably have a top five rather than a top three. Cadbury’s have taken an uppercut here and I can only hope that Nestle bring this bar out further in the UK, now that my favourite chocolate maker has foolishly taken Wispa Gold from our shopping shelves! It seems a while since I last wrote about a new flavour of Kettle Chips, and it is always nice to find a limited edition flavour. As the weather seems to have a turned a little, it seems appropriate to have these Smoky Barbecue crisps while inside watching the TV with the raining beating at the window. I have to say I was seriously impressed by the flavour of these crisps, they have a lovely strong smoky edge that really works well, and a second sweet barbecue flavour mixed in too. The taste isn’t dissimilar to that wonderful red sauce you get basted onto barbecue chicken wings or ribs at places like Chiquitos. This is such a fab flavour for a bag of crisps, they really didn’t last long at all. Smoky yet tangy and sweet, these are perfectly balanced in flavour. 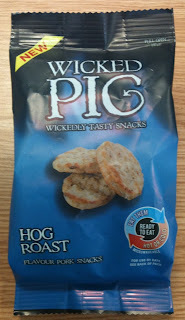 They are well worth trying and I really enjoyed them, in fact they are some of the best Summer edition crisps I’ve tried! Absolutely yummy!!! It is not often I open a bag of sweets and am disappointed. However as I tipped out the contents of this bag I couldn’t help but sigh. Not just because there was only ten sweets in the whole bag, yes the entire contents is pictured, but because something else was missing. Within the bag there were only three colours of sweets, and according to the packet, there should have been four. There were no strawberry sweets included in my bag – d'oh. As for the colours I did have, each consisted of a soft jelly shell, and when chewed they burst and released a juicy flavoured liquid. This one had a very strong slightly sour cherry flavour, which became even more intense when bitten and was almost almond flavoured in places. This had rather a sweet flavour, it was a sort of a sugary orange taste. I have a rather sweet tooth so have to give this the thumbs up. This was another sweet one, like lemon with a hint of honey, making it a seriously summer sweet, and absolutely lovely. Did I mention there were NONE of these in the bag for me to try? Oh, I did already. In conclusion I found these sweets to have lovely strong refreshing flavours, and I liked the way they burst. They are definitely worth a re-purchase, especially as I want to know what the strawberry flavour tastes like!! I've had this bottle sitting on my cluttered desk for a while, not quite knowing how to review a drink that I can't name. 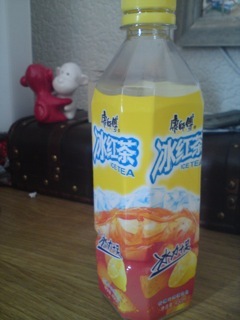 I spotted the website www.myicetea.com.cn on the bottle, but the whole site is in what I am presuming to be chinese. There is a really good video (click on the giant bottle) showing that people that drink this tea become rock stars, but the only english it contains is "come on lets go" and "superhero" so I've decided this can be called Superhero Iced Tea. The site also shows a green flavour which I'd like to try. Even without the benefit of being able to read the bottle you can tell Superhero Iced Tea is similar to the Singapore Tea that I reviewed before and made from brewed tea and not powdered tea like seemingly all the British versions. This means it has a superior flavour and actually tastes like tea. The lemon is quite subtle and maybe a little artificial, but blends really well with the rest of the ingredients to give a really good flavour. On my last trip to the Spar I only thought to pick up one of these to try out (at 490 ml it's quite a big drink) so am going to have return to stock up. Since the international shop at Birmingham Uni has closed the Spar next door has branched out into quite a few of these international drinks and while some are fairly plain this one truly lives up to it's superhero name. I will try a few more when I hand my assignment in and report back. If anyone can actually translate what this is called please leave a note in the comments - thanks!! As they are the winners of the Walkers Crisps competition!! Recovering alcoholics and designated drivers never need to completely despair as there is always light beer or shandy to give you a hint of what you're missing. Okay, light beers never have that true bite a normal beer usually has and shandy is normally too sweet or fizzy to give you a true beer taste, but at least you can drink as much Shandy Bass or light beer as you like and still drive or not feel guilty when you talk over your problems at your next "meeting". Shandy Bass has a stronger beer taste to it than the sweeter shandy varieties such as, Ben Shaws or Schweppes. St. Helier's offering has a mild sweetness of lemonade as well as a noticeable bite from the stronger lager. This is due to the sacrifice of alcohol volume at 3.5%, with two thirds of the bottle being lager and one third lemonade. So you should be able to have one of these if you're a designated driver, then its back to Cokes and looking awkward whilst your mates flail drunk around you. It's bad news for recovering alcoholics though. When someone says "Real Lager Shandy" to me it always reminds me of my bar keeping days way back when I was a student for the first time. Mixing Shandy with lager is a bad idea. The fizz from the lager and the fizz from the lemonade have an explosive combination. Apart from a couple of moments of impressive vocal clarity, I was quite surprised to find this brew wasn't three thirds bubbles. This lager shandy does give you the feeling that you've walked into an upmarket pub and ordered a draft lager shandy, rather than a supermarket can or bottle that lets you drink as much as you like, but not saver the feeling of drinking shandy how it's supposed to be. As the weather has been so hot, we have been having an above average number of barbecues this year. I have been looking for the perfect liquid refreshment to go with the wonderful feast that Spectre cooks. Obviously there is a lot of meat and food in general involved, so the idea of having a detoxing iced green tea was quite appealing. That way I could kid myself that the drink was somehow making up for all the excess food! 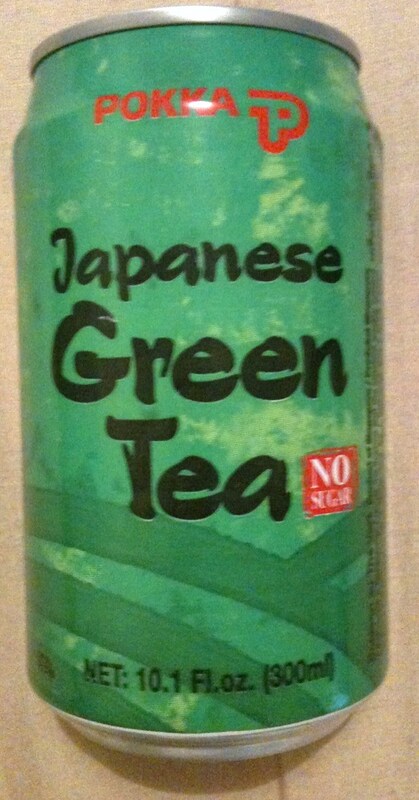 If nothing else the green tea has a zero calorie count per serving, which would certainly help! Cracking open the can I felt that the tea was flavoursome and surprisingly strong in taste. When I make green tea fresh I always make it milder than this, but then it isn’t so strong that it is off putting. There are the usual leafy flavours, but with a pleasant nutty edge, and a very slight bitter tone to finish. Ultimately it was a very refreshing can of tea, and lovely on a hot summer’s day. If you are a green tea fan I thoroughly recommend it, I just hope the weather provides some more barbecue sunshine again soon. Zotter are famed for having some unusual flavour combinations. They put a lot of thought into new and strange ideas and as such, are a brand that rather appeals to me. This particular bar combines lemon and olive. Lemon and chocolate isn’t the most popular flavour, but I have seen it in the past, although never with added olive! In fact, not sure I have ever reviewed an olive and chocolate bar before either! The outer chocolate is a lovely rich dark 60% cocoa, that really sets of the filling. The central part has a rather zingy lemon flavour, followed by tones of savoury spices and salt. It is a complex taste, where lemon is obviously present, but I couldn’t categorically say I’d be able to identify the olive as being ‘olive’, but there is definitely a bit of something else mixed in. The more I ate of this bar, the more I enjoyed it. The strong flavour of the filling works well, the salt, sharp lemon and rich chocolate all mingled together and made it a lovely taste bud experience. Well worth tracking down if you can find it! Ever since I was a child (all those many years ago...) I've always been partial to Maynard's Gums. Fairly recently I discovered Maynard's Sours and proclaimed them as one of my all time favourite sweets for tucking into whilst watching a film. I've never been bothered by Popcorn, I'd rather tuck into Fizzy Cola Bottles and Cherry Cola Bottles. These Maynard's Fruit Duos come in all different shapes and sizes. I first noted that Apple is same colour as Tangerine. They couldn't seem to have Apple as the same colour as Lime, but that may have been more realistic. Pear is yellow, which is even more confusing than the orange Apple. What next green Raspberries? This has a good orange and lime jelly type flavour. This is my second favourite flavour, although it was the first I tried. The pear is yellow! Did I mention that before? This has a mainly pear flavour with a bit of an orange taste. Not particularly my favourite, but better than the apple flavours. This sweet tastes mainly of blackberry with a hint of strawberry. The two mixed together makes you want one or the other, but possibly not both at the same time. This sweet tastes mainly of strawberry with a hint of lime aftertaste. This is my favourite so far and I'd be happy if the bag was full of these and NOTHING ELSE. It makes you think of a refreshing cocktail in a Caribbean bar somewhere hot. These have a strong apple flavour with blackberry in the background. These gums are my least favourite so far. Did I mention I don't like the apple flavours? Same colour as Tangerine and Pear. Tastes of apple mixed with a smidgen of orange. Just not keen on the apple ones! I got fed up of trying to find further Tangerine and Pear gums after being caught out a few times with these gums. In conclusion, too many of these gums made me feel a bit sick. The colours are a bit confusing also. I wouldn't say these fruit flavoured gums are moreish, most of them made me want to bite them in half and eat one at a time. I'm not sure I was the best reviewer to judge these gums. Cinabar would vouch that I hate my food touching on a plate and mixing together. I know it's a weird Monk type thing, but mixing something like two different curry sauces together is my idea of food hell! Wow these crisps are hard to find. I even looked during a trip to Wales! Thankfully I have managed to source myself some thanks to the nice people at Walkers, and there are some spare bags too, so there is a competition at the end of this post! The crisps themselves are Welsh Rarebit flavour, and therefore effectively cheese on toast (with optional splash of Worcestershire Sauce). Regular readers will know about my love of cheese on toast, and so I was looking forward to these. Opening the bag I smelt that standard ‘cheese’ flavour you would expect from crisps, much like the aroma of a packet of Quavers for example. The taste was a fair bit stronger though, the cheese has a rather mature edge, and a slightly salty after taste. Disappointingly there wasn’t that grilled cheese flavour, or indeed evidence of toast, just a strong cheese taste. I like strong cheese and do enjoy Camembert, and I found that they grew on me the more I ate, but tried them on a couple of fellow tasters and got very different reactions. I decided to take some of the crisps into work to get a rounded opinion, and I have to say there too they fitted into the Marmite category, with some people totally unimpressed and other really liking them. Anyone else managed to track any down? What did you think? 1) Tell me something you think we should feature on the site, i.e. anything you’d want the team here at Foodstuff Finds to write about. 2) Let me know which of the two flavours of Walkers you’d prefer to try. • Competition closes 7pm on Friday 16th July 2010. • There is a separate competition being held at Twitter @cinabar please feel free to enter both. 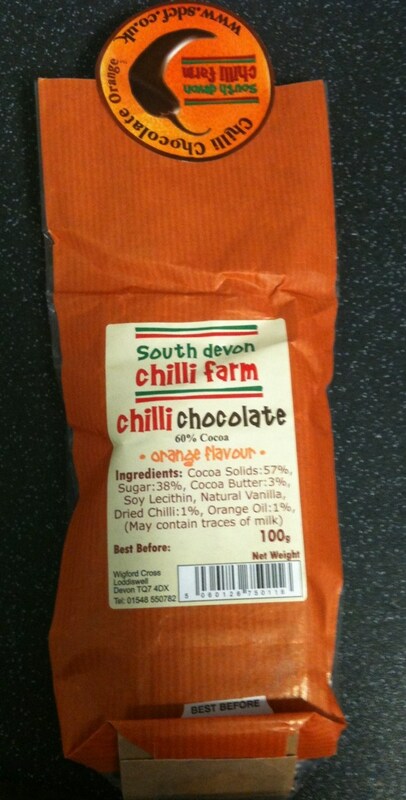 This rather wonderful bag of dark chocolate was purchased Devon from the South Devon Chilli Farm where they grow chillies and make their own chocolate. 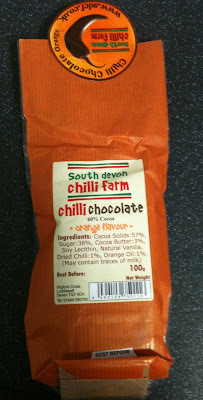 They also make a wonderful range of chilli sauces, and other flavoured chilli chocolates. I have to say a big thanks to one of my work colleagues for very kindly bringing this back from Devon for everyone in the office to try. Inside this large bag were two thin bars of dark glossy chocolate. I cautiously broke myself a corner of the chocolate and let the flavour melt into my mouth. The first thing I noticed were the rich cocoa tones, set off perfectly by the sweet orange oil, then gradually a heat built up in my mouth, and the chilli kicked in. It was a fair bit stronger than I expected, but well balanced because the fruity orange tones took the edge off and made the combination of flavours work perfectly. I have had chilli chocolate that burns beyond reason, and some where the chilli is unnoticeable. Thankfully this is a very clever bar, with a good chilli kick, which is manageable because of the fruit flavours and the lovely rich cocoa base. When a product states on the back of the box that it "may have an adverse effect on activity and attention in children" you know that you are on to a winner! This is a bumper 170g box of the old children's favourite from the early 90s Nerds. The flavours/colours are all mixed together and flow freely within the box so it took a couple of pourings out to even find the Orange ones, but I'm guessing that all are equally represented inside. I think the pink ones are raspberry, the purple is either some kind of melon or grape, the orange ones I'm pretty sure are orange or tangerine, the yellow ones are vaguely lemony and the green ones are maybe watermelon? They are all sour. Not destructively so, just tart enough to give the taste-buds a work out, but enough to confuse the brain over the flavours. It's a nice sensation though and as in my teenage days these are a pleasure to eat. Crunching them up is a fairly unsatisfying affair, but allowing them to melt as the flavours mingle is truly magical and one of the reasons I'm a much bigger fan of sweets/candy than chocolate. I'm not sure on the massive box though. Not only does the packaging make the colours look more muted than the versions in my memory, but I think the OCD sweet consumer in me would rather have separate compartments for each flavour. This box is very much for sharing though and tipping a small pile into someone’s outstretched hand is a great experience and what Mr. Willy Wonka would have wanted. They even advertise that you can find the origins of Wonka in the book "Charlie and the Chocolate Factory" on the back of the box - as if any child would have the attention span for books after all the wonderfully artificial colours and flavours these Nerds contain. Personally I’m used to eating beef stews, which I suspect is a more traditional English stew. Therefore I was surprised to find that a traditional Irish stew consists of lamb chops, as well as potatoes, carrots, onions, thyme, parsley, Worcestershire Sauce and Pearl Barley. I’ve always found a nice pint of beer or two goes well with a beef stew, but Irish tradition beckoned and I switched to a lovely pint of Guinness to sample with these crisps. Having said that, Cook UK claims Irish stew was initially consumed by poor people, so they would only be able to afford lamb for the meat, and Guinness was “beyond their means”. Oh well, I’m almost certain that Guinness isn’t beyond most Irish stew fan’s means these days. I broke open three bags of Irish stew flavoured Walkers Crisps, marvelling at their meaty smell. I made myself a cheese and ham sandwich with lashings of Beer Mustard and sat down to the classic black and white naval movie; “Above Us the Waves.” As I tucked into the crisps I could tell there was certainly a meat flavour, but it tasted more beefy than lamb. There was certainly a hint of herbs and a touch of onions. You could imagine sitting in a darkened pub sipping your favourite stout, eating a nice meaty stew with carrots and potatoes bobbing up and down in wholesome wet gravy, whilst listening to light Irish folk music. The crisps themselves went superbly with the Guinness. The hearty stout complimented the flavour of the crisps, and the predominantly meaty onion flavour of the crisps complimented the Guinness. Asides the traditional lamb issue, these crisps should preferably be eaten with a good stout rather than beer, and even though the band of naval divers didn’t quite manage to do what they set out to achieve, the film was a ripping yarn and well worth a watch. The next black and white naval war movie I sit down to, I’ll try several more bags and at the very least a four pack of stout! It wasn’t that long ago I first discovered Fridge Raiders and thought they were a wonderful new chicken snack. Exploring the isles in Morrison’s I spotted these Wicked Pig snacks, which are a similar concept, only made of pork. I decided to try them for the first time at work, as an afternoon snack. When I opened the bag I was a little overwhelmed by the smell! 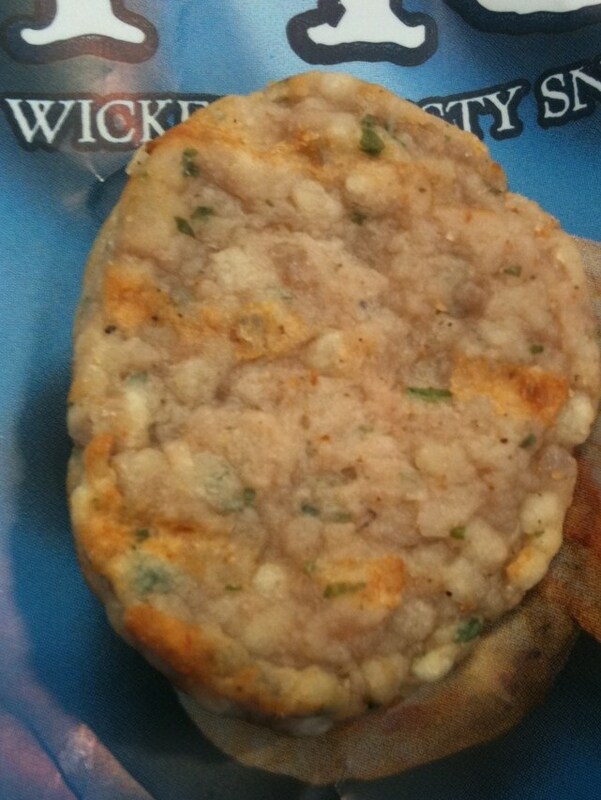 Think ridiculously strong garlic / chicken stuffing aroma filling the office. Thankfully the taste was a lot tamer (these are supposed to be the plainest variety). The flavour was meaty with a strong but reasonable amount of herbs and garlic. The texture was soft, but inconsistent like minced meat patties. They made a rather enjoyable snack, and they got the office thumbs up. However there is quite a heavy garlic aftertaste that lingers longer than desired. Tasty, but don’t eat them just before an important meeting! I would like to start by saying a big thank you to Franzi from Limited Edition for very kindly sending me this lovely bar to try. Ritter Sport is a big brand over in Germany, but it is one of those things that is quite hard to get here in the UK. The import shops often stock a few, but this Limited Edition is quite a find, so thank you! I love the fact that Ritter decided to make square bars, not oblong, really makes them stand out. I have no idea why all the UK bars are practically the same shape, possibly to make it easier to put on the shelves? This particular bar has a milk chocolate coating and a forest fruits filling. The filling was lovely and refreshing, it was sweet and fruity, filled with loads of mixed berries flavour. Strawberry and blackcurrants shone through the most, but it was a lovely berry medley. Also within the soft filling are little crispy pieces of berry flavour crystals, with add zing and texture. The milk chocolate is rich and soothing, making this a lovely summer bar. I thoroughly enjoyed it, and looking forward to trying the other wonderful things sent from Germany! FACT: One of my favourite sweets of all time is Barrat’s Sherbet Dip Dab with a strawberry flavoured lollipop. Every Dip Dab I’ve had in the past has resulted in much white powder covering various pieces of my clothing, making me look like a druggie with a bad nervous twitch. I’ll drop the stuff off the lollipop whilst in transit to my face, miss my mouth and dump the sherbet (that’s not a euphemism) all over my shirt and trousers, or otherwise cough or sneeze sherbet in every direction. 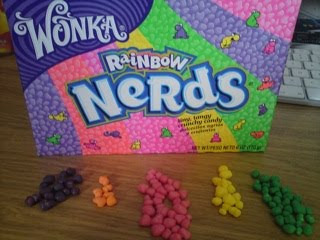 This type of sweet has caused much hilarity in the past, especially if someone else gets covered in sherbet and not me. Therefore this Wham Super Sour sherbet with a Blackcurrant flavour lollipop has a lot to live up to. It’s presented in a plastic packet, rather than the scary paper packet of Barrat’s Dip Dab, which starts to dissolve after the wet lolly is pressed into service over a period of time. On opening I was slightly disappointed by the ungenerous amount of sherbet at the bottom of the packet. I also noticed that the sherbet was stickier in substance, rather than the powdered sherbet of the Dip Dab. No coughing or sneezing vast gouts of sherbet in all directions here. The sherbet also stuck fast to the blackcurrant lolly, even when dry, so no danger of dropping any over my clothing either. There’s a light pleasing sour sensation when you lick the sherbet off the lolly. Nothing to make your face contort, but it adds to the sour blackcurrant flavour in the lolly. The strong flavour of the lolly combined with the subtle sour sherbet make an excellent combination. It feels more of an adult sweet snack, as the original dangers of the Dip Dab has been removed, though at a sacrifice of quantity of sherbet. The lolly lasted a lot longer than the sherbet, whereas when eating a Dip Dab, the lolly disappears pretty fast and is replaced by my less than tasty finger. Well, depending on where it’s been beforehand! Never say never. Well actually I said “last” in the context of this statement: “This is the last of the new desserts in M&S” when I was referring to the Walnut Whip pudding. I was wrong, because I’m pleased to announce I have found another one, this Caramel Frappe! This dessert mimics in packaging and name at least a posh take-out coffee. There isn’t actually any coffee in this pudding, just a butterscotch mousse, caramel, cream and cinnamon. The cream, caramel and cinnamon went well together, but I was aware that the cinnamon in mine was quite strong, and was rather a heavy dusting. All the same the rich flavours worked nicely together and I enjoyed the first half of my dessert. When I got down as far as the second half, the butterscotch mousse, I found it to be absolutely dreamy. It had a lovely sweet butterscotch taste, and had a lovely light consistency. It was such a good flavour; I really would have loved a pure dessert made just out of it! Sadly the cinnamon kept re-appearing and slightly altering the taste. I like cinnamon, but this butterscotch layer was yum, and just didn’t need it at all, it deserved to be eaten on its own. I would certainly buy this again, but if M&S bought out a whole post of pure butterscotch mousse I’d be in heaven! I drink a fair bit of instant coffee, and I’m not going to tell you for a second that it is nicer than fresh coffee because that’s not true. What it is though, is convenient. When I saw that this new “instant” cappuccino came in two sachets, both needing to be prepared separately, my first thought was that it sounded like rather a lot of effort for something made with the kettle. The instructions are to make the milk part of the drink first. I added the powder to my mug and added 150ml of water. For the record 150ml of water is about a third of my mug, so I was a little surprised when the water frothed its way to the top, there were bubbles everywhere, it filled the whole thing! Amazing to watch too! The coffee part only needed a spot of water, so I made it in an egg cup, it didn’t froth really, but it did mix up nice and easily. I then added the coffee section to the milk and stirred. I have to say it made one fine mug of cappuccino, lovely rich fresh tasting coffee with a milky aftertaste. It wasn't like drinking pure bubbles, it had the texture of gently frothed milk. It was totally enjoyable, both in flavour, and surprisingly easy to make as everything mixed so quickly and simply. This is a lovely product and one I hope to see in the shops very soon. I've had a carrier bag of these sitting around now for what seems like ages. It seemed a good idea at the time to grab 10 or so boxes and try all the different flavours to see what they were like. Over time I've come to realise my folly - even the odd flavoured ones are compulsive eating which means that once I start I keep on eating them until way past the point at which I should have stopped. Only 4 remain - and it's quite a balanced meal as far as Pretz goes. 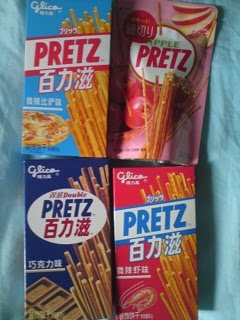 For starters I have the apple Pretz. Oddly these are in a resealable package and much thinner than the regular Pretz. I think this may be a variation on the styles to reflect that apples are something you might want to eat out and about. They are delightfully crunchy and have a hint of cinnamon too them making the experience like eating cold, weakly flavoured apple pies in a stick form. The smell of the bag wasn't great but I still ate 5 or 6 to get the flavour down and as usual by this point I was quite happy to keep munching away. Not as classic as the Tomato flavour (from a previous review and still my favourite and best). Next up was the Pizza flavour (or za for any scrabble players out there). I had been expecting a cheese and tomato flavour for these, and I don't really like cheese. A quick check on the back revealed that this was a chilli pizza flavour snack - suggesting spicy cheese. In reality it's just a flat spicy flavour with maybe a bit of the familiar pretz onion taste about it. Not as nice as the curry flavour ones, but still very much edible. Third up is the pack that I regretted buying. Shrimp. To me this is like considering sea-monkeys as a legitimate food source. Things that eat shrimps are food, in the same way that things that eat land based insects are food. I have been trying to tell myself that it's just their way of packaging up prawn cocktail - those lovely pink bags that Walkers sell and I happily eat because they are essentially just thousand island dressing - and not a little box of sea-bugs Pretz. In a rush to head out for the day and get this trial over with I opened the package and took a big bite. It tastes like a fish market, all prawns and little bits of unidentifiable fish all mingling together. Due to the nature of Pretz I managed to finish the stick, but have no intention of ever eating a second one. Not as repulsive as the corn flavour, but really not that far off. I immediately opened the remaining pudding flavour of double choc. These are ok, but chocolate is really one of those flavours that doesn't work synthetically. These are similar to the other double Pretz and have a hint of coffee about them. So a nice end to the meal really - I ate a few to rid myself of the fish. Overall I will probably buy more Pretz - but I will stick to the sweet flavours like apple, and those that actually make sense as breadsticks like overall champion Tomato. Just a quick look on Google showed this is not the only whisky ale on the market. At 7% volume, 1488 is claimed to be a unique brew from the Tullibardine Distillery, Perthshire, Scotland. I guess it’s not unique anymore. I’ve seen video clips of big tough looking men dropping short glasses of whisky into pints of beer before. I’ve always wondered what it may taste like. Now I like beer, as regular readers may know, but I’ve never been too keen on spirits. I like a shot of Rum and Black at Christmas time, if Cinabar permits me… and when pigs dance across a blue moonlit sky! My usual apprehension hit me before opening the bottle. Tough guys with short glasses tapping their noses as they down their whisky fuelled pints aside, this sounds like a downright bad idea. Spirit chasers between pints are a quick way to get completely bladdered (I should know, I lost a first date from it once… I’ll tell you when I know you better), but mixing a spirit with a pint sounds like a quick way to sticking your head down a toilet. At the very least drinking large amounts of whisky spiked ale should give you a slurred Scottish accent by the end of the evening. Perhaps that should be a warning on the back of the bottle? *WARNING – MAY MAKE YOU SICK WITH A SCOTTISH ACCENT*. Okay, okay… I’m babbling, I’ll open the bottle. Expecting a strong aroma of whisky on opening, I must admit I was slightly disappointed as no spirited whiff assaulted my nostrils. On tasting the brew I bathed in a good strong ale taste, but where was the whisky? At no point during the drinking of this pint did I feel like losing my underwear, donning a tartan skirt and charging around a misty, blood and limb strewn field, whilst waving around a claymore and shouting “FREEDOM! !” If you close your eyes and imagine really hard you could believe that this bottle of ale may have stood on a shelf next to a bottle of whisky at some point before drinking. At 4.5% volume, I take it this is the slightly wussy version of the previously mentioned 1488. I’ve decided to hunt this scarier sounding whisky ale down. I’ll let you know when I pick one up, paint my face blue and find out if my underpants can fly off the top of a tall building! This is the last of the new desserts in M&S that I have found, and one that I was looking forward to trying the most. It is a pretty layered dessert mixed with a chocolate sections and white chocolate. The thing about proper Walnut Whips is that they may well have the name of a nut in their title, but in reality it doesn’t do much more than decorate the top! As expected under the lid there was indeed a half walnut chunk adorning the top. The chocolate part of this pudding consists of sauce and it was rich, sweet and full of flavour. It is quite a thick sauce, with a good strong flavour. The white mousse underneath had a lovely taste, creamy vanilla tones, white chocolate and the flavour of mallow. Absolutely lovely, and rather like a light airy version of the filling of a regular Walnut Whip. Underneath this white layer is another layer of chocolate sauce, so that your parting mouthful delivers a scrummy cocoa hit. This is a fabulous dessert, and my favourite of all those I’ve tried. Well I would like to start with a big thank you to Franzi from Tasty-Limited-Edition for sending me this as part of a chocolate swap. I was totally overwhelmed by all the fabulous goodies she sent me, and am looking forward to writing about them over the coming weeks. Thank you! This particular fruity chocolate is made by Ferrero, but it is not one I’ve seen before even in the import shops here in the UK. The milk chocolate coating is rippled, and has a decent thickness and flavour. It is quite sweet tasting, creamy and milky and complements the filling well. The Yoghurt section has quite an intense flavour, very fruity, but a sharp taste mixed with a creamy yoghurt base with a bitter edge. It is a rather complex flavour for a filling, but is mellowed perfectly by the chocolate coating, and was an absolutely lovely taste sensation. It is always nice to see fruit fillings made with tropical fruits, particularly in Summer! Although if this is a Limited Edition in the range, it makes me wonder what the regular flavours are?